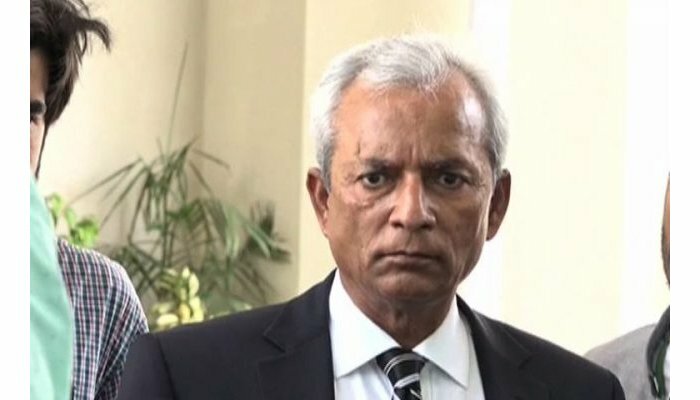 ISLAMABAD: The Supreme Court of Pakistan on Thursday awarded one-month jail term to Pakistan Muslim League-Nawaz Senator Nihal Hashmi for threatening the apex court judges in his speech. According to Geo News, a three judge bench gave the split judgment (2:1) against the Senator. The court also imposed a fine rupees 50,000 on the Hashmi who has been facing the contempt of court proceedings over his speech. Police are said to have taken Hashmi into custody. Legal experts said the Senator could file an appeal against the judge before a larger bench of the apex court. On January 25, the Supreme Court (SC) reserved judgment after Nehal Hashmi tendered an unconditional apology. He submitted the court an unconditional apology in writing and left it to the bench to decide his fate. In a video speech leaked on internet last year May, Hashmi allegedly warned individuals involved in the investigation against former prime minister Nawaz Sharif and his family of consequences. Subsequently Chief Justice Mian Saqib Nisar took suo moto notice of Hashmi’s remarks.